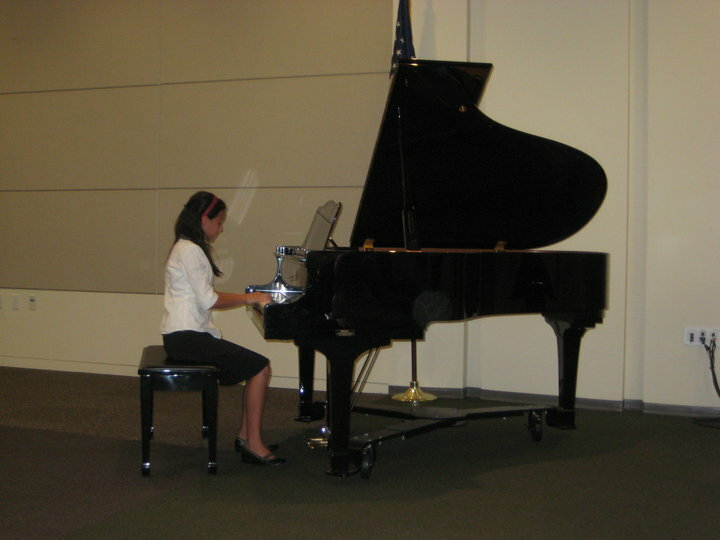 Our students will have many opportunities to participate in recitals, festivals, auditions, and competitions. The beginner students will benefit from the more informal, non-competitive recitals, while the intermediate-advanced students can participate in the formal, assessment-type auditions. Yiyi will advise each opportunity to the students as they arise. Click here to read more about other professional associations Yiyi is affiliated with. I would like to organize a holiday get-together recital. I have always believed in the importance and benefits of recitals; it gives students an opportunity to experience performing and lays the foundation for future public appearances and auditions. As this is Yiyi’s first studio recital in Murrieta and we have a relatively small number, it will be at Yiyi’s studio. You are welcome to bring family members and refreshments! The recital will be informal; as the studio space is limited, it is not a ‘sit-down’ recital. I understand that not everyone will be able to participate at this busy time of the year. If you are able to join us, please RSVP before November 30. I have often been asked by parents and students where to buy music related products and gifts, especially around holiday time! I have hand picked some selections from Amazon.com that I have found to be very interesting, and in most cases, very reasonably priced. Go to the Shop page of the studio website to browse the selections. I will continue to offer free trial lessons for new students until November 30. If you refer a student, you will receive a free lesson credit after the new student’s first full month of lessons. This offer will expire when the studio is full. Thank you to everyone’s support, the studio is growing! Each and every student in my studio receives personalized attention. I am always interested in my students and genuinely appreciate my relationships with them. Lesson plans are designed to suit individual interests and abilities. I am always inspired by student accomplishments week after week, and am happy to be part of their development in the wonderful world of music. My responsibility is to undertake constant professional development and deliver the best possible instruction and offer students a variety of opportunities. In my studio in New York, students have participated in county, state, national, and even international auditions and examinations. I pledge to do the same for my students here in California. At present, many of our students are beginners, with some intermediates. There is a lot of technical ground to cover, but I will work hard with everyone so that in the shortest amount of time possible, we will be ready for both informal recitals and formal assessments! update: I have compiled a summary of performance/assessment opportunities available to students at Yiyi Ku Piano Studio in California. Click here.